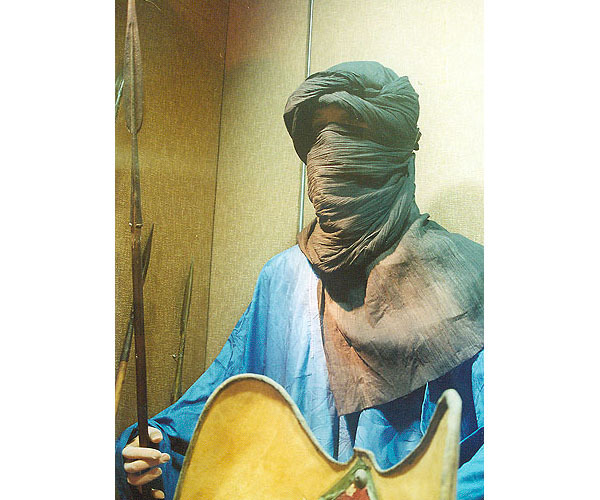 The famous Lisam of the Tuareg of the great desert of Sahara (it is worn by other peoples of the desert, other names are the ‘Lytham’ and the ‘tagelmust’); it is presented when a boy reaches 18: from that day on he would open his face only for eating or sleeping. It is especially important to hide your mouth; the Tuareg do not remember the origins of this taboo, because the first mention of the lisam in the annals pertains to the 7th century. The lisam serves more than one purpose. 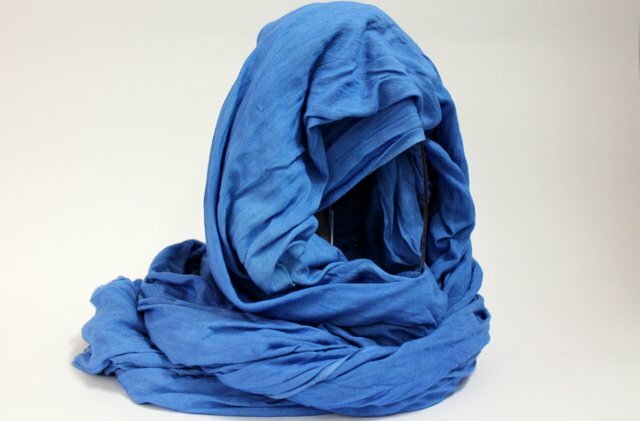 It protects the head against heat stroke as a scarf, protects the nose and mouth against dust as medical bandage, allows to hide the skin from sunburn and finally covers the shoulders, serving as outerwear as well. Once a burnoose helped Rene Caille, French traveler to sneak unrecognized into Timbuktu, to live there for a while and return safely to Europe. The scarf helped me too, otherwise how could I put my picture on the cover of the book, written under the strictest incognito?